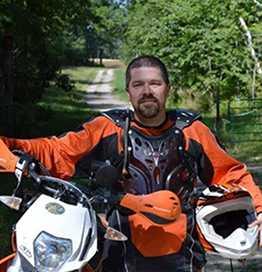 Dave Millier is a serial entrepreneur, off-road motorcycle rider and food lover. Dave has been involved in cybersecurity for almost 20 years. He founded the InfoSec company Sentry Metrics, one of Canada’s most successful MSSPs. After the sale of Sentry Metrics, Dave’s lifelong passion for reading led him to finally sit down and write his first book, Breached! In late 2014, Dave launched Uzado (http://www.uzado.com), a cloud-based InfoSec company focused on helping companies simplify cybersecurity by answering the questions “what now?” or “what next?” Dave is also the CSO of Quick Intelligence (https://www.quickintel.com), a boutique VAR and cybersecurity consulting company, and is the CEO of MIDAC Solutions (https://www.midac.ca), a Managed IT services provider focused on small to mid-size clients.